Soul Electronics Run Free Pro Bio review | What Hi-Fi? The definition of wireless earphones has become something of a moving target. The Soul Electronics Run Free Pro Bio earphones – yes, they’re earphones, not an organic yoghurt – are wireless headphones with a wire running between the two buds. Unlike ‘true wireless’ earphones, there is a wire to contend with here. But, like true buds, there’s no wired connection to your phone or music player. Got it? The cable on the Run Free Pros features an on/off button and remote control at one end, allowing you to skip tracks and adjust the volume. This bump in the cable also houses the micro USB port for charging. To balance out the remote, there’s also a branded bump at the other end of the cable, which means they sit nicely around your neck. The Run Free Pro Bio buds use aptX Bluetooth 4.0 wireless connectivity, promise eight hours of battery life – our experience shows that figure to be pretty accurate – and have a wireless range of around ten metres. Aimed at the sport market, the buds are also washable – no bad thing for a pair of in-ear buds designed for active use. The first step with any in-ears is getting the fit right. A selection of ear tips are supplied here, along with ‘ear locks’ that attach to the buds and hook under your inner ear and provide extra stability. We found the buds secure enough on their own, thanks to them going slightly deeper in your ear than some rivals. Put through their paces over runs, cycles and gym visits (we don’t sit in front of a pair of speakers all day), the Run Free Pro Bio earphones are really quite good at staying in our ears. A definite big tick here. Available in grey and red, the Run Free Pro Bio earphones add to their sports credentials with some serious tech – a Beflex Biomech Engine, no less. Download the accompanying app, register an account and you can get real-time coaching in your ears. The app, available for Android and Apple, will track and analyse your running style and offer improvements on the fly. It’s undeniably clever, but as is often the case, in practice it isn’t quite perfect. The app gives you plenty of advice – it will interject if it thinks your step is too wide, your feet are landing too hard, if your head is moving too much or even ‘vertical oscillation’. Attempts to deliberately force the coach to comment on some dodgy technique proves fruitful, so we’re relatively confident in its efficacy, and the app also gives you plenty of data to pore over after each session. Whether anyone serious about running would take complex running gait advice based on an app, rather than a sports coach, is debatable, but nonetheless there’s a lot to get your teeth into here. While we weren’t expecting a huge amount from a pair of wireless earphones at just over £100, unfortunately, these Run Free Pro Bios aren’t much better than average sounding. We listen to Calvin Harris’s Feels and there’s a coarseness to the overall sound. Compared to similarly-priced rivals, such as the Sennheiser CX Sports, the Run Frees lack subtlety and overall detail. Bass notes sound a little flat and underwhelming, while voices don’t have the immediacy or intimacy of better earphones. The treble is neither too bright, nor the bass too flabby, so for background listening on a treadmill it’s unlikely to offend. But for something to keep you interested on a 10k run, the overall blandness and inoffensive sound may prove somewhat uninspiring. Missing detail and dynamics just leaves them sounding a little flat, not least when compared to the likes of the Bose SoundSport Wirelesses. 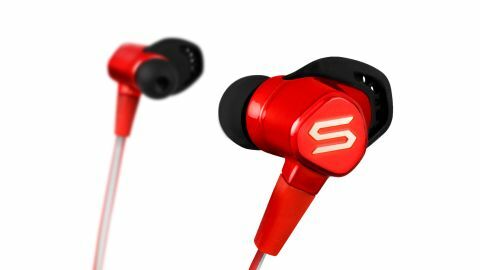 With their lightweight build and comfortable fit, neat training features for fitness fanatics, and a decent battery life the Soul Electronics Run Free Pro Bios will be the ideal pair of in-ears for some people. If your main concern is a wireless pair of earbuds with some clever tech, these are well worth a look. However, if sound quality is higher up your wish list, there are other options on the market that are better all-rounders.